Oatmeal can taste sooooo good with the right add-ins and steel cut oats can cook in 7-8 minutes! It just takes a little prep the night before.To slash precious minutes in the morning, place 1/4 cup steel cut oats and 1 cup milk–almond, soy, or regular–in small pot. (This is for one serving; double or triple accordingly.) In the winter, I like to add a hefty shake of cinnamon and 1/4 cup pumpkin puree for its velvety texture and added taste. Cover and place in refrigerator overnight. 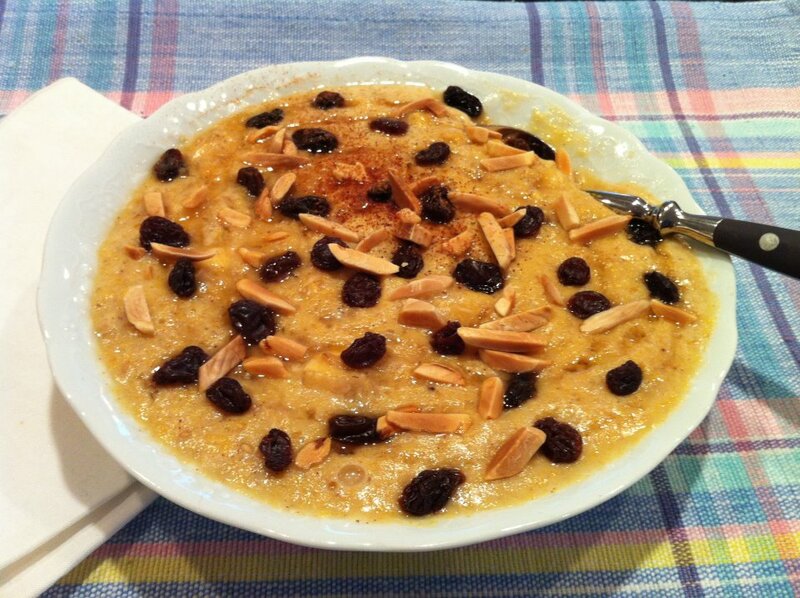 In the morning, bring to a simmer then cook over medium-low heat until creamy, about 7 or 8 minutes.I like to add a chopped banana at the end of the cooking time then top my oatmeal with raisins, slivered toasted almonds, a pinch of sea salt, and drizzle of agave. Both flavor and texture are unbeatable. Seasonally, berries make fabulous toppers. Cooked according to package directions, steel cut oats take 30 minutes. As an added benefit, I have read several times recently that soaking oats allows for better absorption of its many nutrients.